The Department of Homeland Security announced it has resumed processing renewals under the DACA program, which protects undocumented immigrants brought to America as children. The Trump Administration’s action on Sept. 5 to end the Deferred Action for Childhood Arrivals program was overturned last Tuesday by a federal judge in San Francisco. 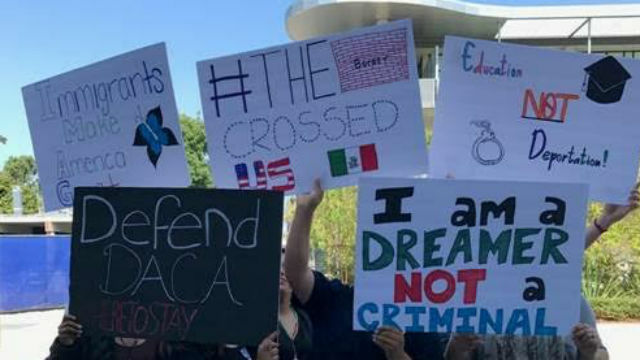 There are an estimated 40,000 DACA recipients in San Diego who would have faced loss of work permits and deportation to countries which, in many cases, they never knew beginning March 5. The U.S. Citizenship and Immigration Service said even those immigrants whose permits expired after Sept. 5 could file for renewal. The Trump administration plans to appeal the decision, but Congress continues efforts to pass bipartisan legislation to permanently protect some 800,000 Dreamers across the country. California and other states quickly moved to inform Dreamers of the new opportunity to renew their status.